In the throbbing heart of Ploen Chit, an area known for its embassies, high-end malls and five star hotels, it’s all hustle and bustle at ‘Pinky’s’. Amongst the bolts of Italian wools and fine cotton shirting, a British couple, pour of over samples while upstairs two 20-something backpackers have returned for a quick fitting, before catching their overnight train to Chiang Mai. Meanwhile, in the waiting area, below a pin-board groaning with business cards and thank you notes, a Thai businessman scrolls through his phone as a group of four German tourists bundle into the shop, regulars here for more than a dozen years. 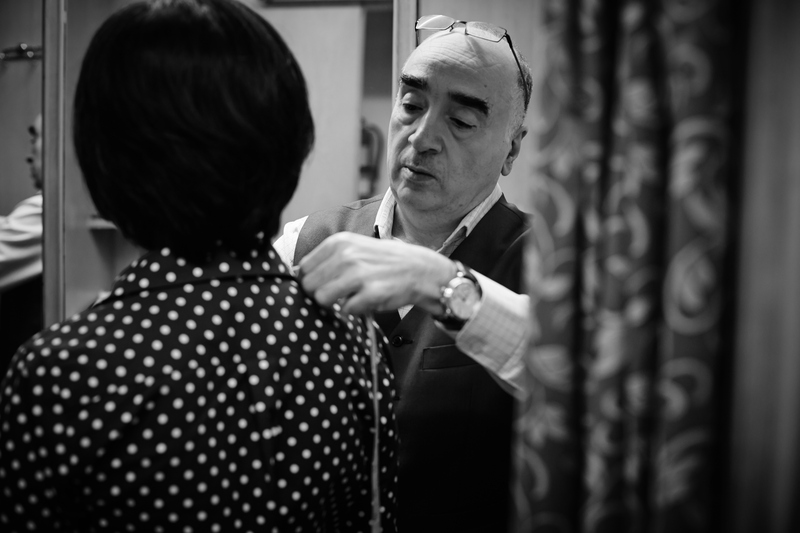 ‘Pinky’, (real name Dalip Singh Sandhu), 64, is one of Bangkok’s most respected and well known tailors and has been running this shop for over 35 years. “God can take me anytime, he’s given me everything I want”, Pinky tells me, between phone calls, measurements and directing a small gaggle of diligent floor staff. 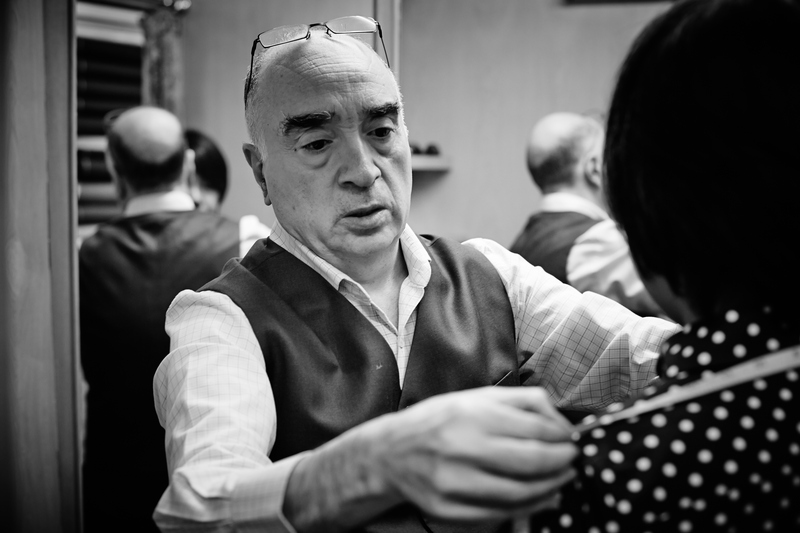 Unlike most tailor shops in the area, there are no hawkers outside Pinky’s – he doesn’t need them. Though some trade comes from guidebooks and travel sites, it’s repeat clients and word of mouth that make up the bulk of the business. “We have one family, from Australia, where we have worked with all four generations over the last thirty years. When my wife and I went on holidays, we visited them, and the same for clients in Norway and Sweden. They say ‘Pinky, when you come, we will show you everything, we will take care of you’. And they do. It’s been wonderful”. Originally from Delhi, Pinky came to Bangkok at age 20 to work for a friend of the family, a practise common at the time amongst Indian immigrants. “They want someone who understands them, who they can trust and who can work like a donkey. For them, this is only anther Indian”. Pinky says with a wry smile. 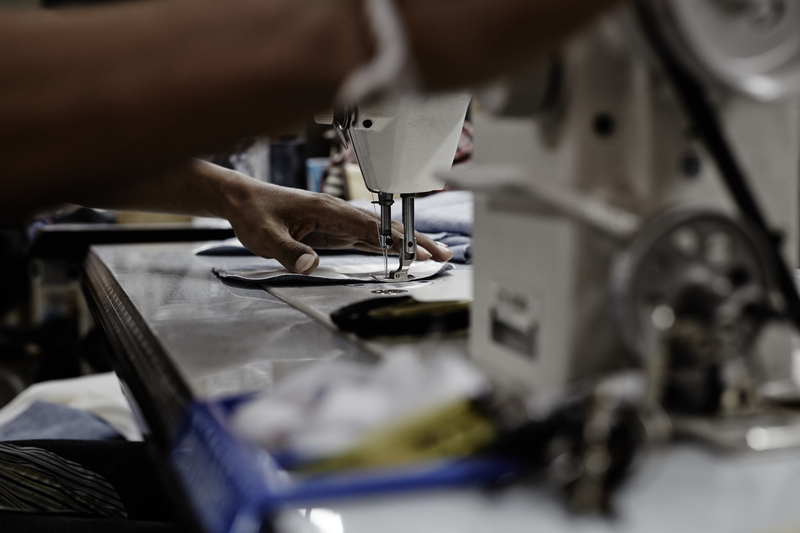 It’s said that the rise of Indian tailors in Bangkok dates back to as far as the 1800’s, when trade ships brought fabrics and other goods such as spices into the country, then spiking again in the 1960s with the influx of thousands of America GI’s. Now, there are many hundreds of Indian tailors spread throughout the city, amassing vast wealth and prosperity over several generations. 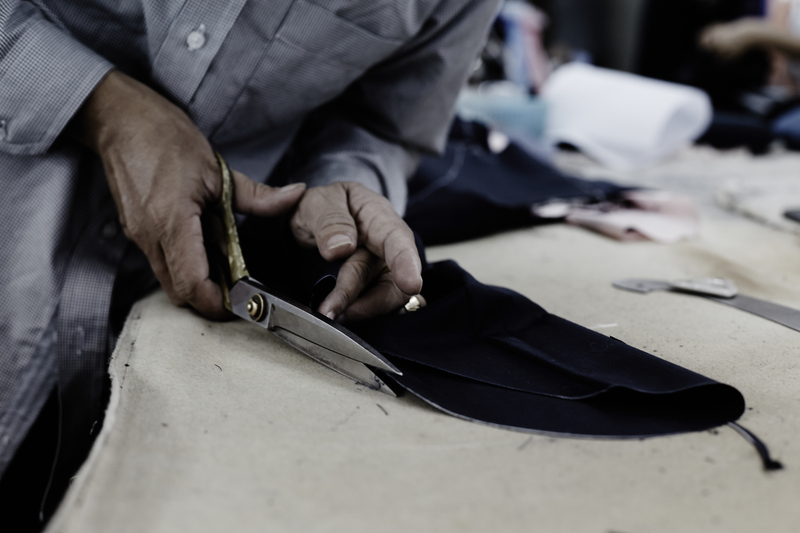 For Pinky, his early years in Thailand were about learning the art of tailoring – from measuring, cutting and sewing to the intricacies of fabric quality and how it drapes and moves according to a particular style. Though the hours were long, and all his wages sent back home to his family, Pinky insists he was content – until the day he fell in love with a Thai University student called ‘Nid’. “I was just living day to day, never thinking about my future at all and though I was happy, really I was in my bosses shadow, never moving up. Nid was from a well off family, her father was the Governor of Chiang Mai at the time and I knew if I was to have any future with this girl, I needed to go out on my own and start my own business. I needed to be successful and make something of myself otherwise there was no chance. So this is how it started,” Pinky tells me. “I began with probably the smallest shop in Thailand, it was just one floor, and I could not afford to rent a room to live in as well, so I slept on my workbench for the first eight months. There was no decoration, nothing. It was very basic. But I had some good contacts with materials and they agreed to give me credit and I had some people who knew about my work from my previous job and they started to bring their business to me. Initially it was Pakistani and Indian customers and also some missionaries that I knew. Then one day a woman came into my shop, she was Swedish and she asked me if I could take up the hem on a pair of jeans for her. When she returned the next day to collect them, she asked me how much she had to pay. When I told her nothing, it was just a small job, she was shocked. So she made an agreement with me. At the time, she was working for a tour company, bringing in hundreds of tourists per month from Scandinavia and so she said she would bring at first one or two customers to test my work and if it was good and they were happy she would bring more. Well they were happy and so it started like this. Soon we were doing hundreds of customers through her recommendation, so it really changed many things about my business and I started to become much better known”. 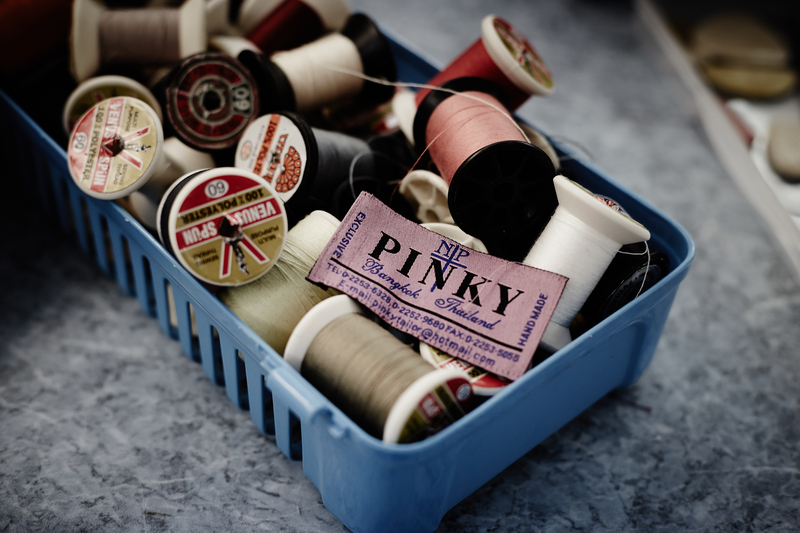 These days Pinky employs roughly 65 people, the shop takes up 4 floors as well as an offsite facility and altogether he produces between 500-600 suits per month. Though this equates to a staggering success by anyone’s measure, it’s not the money or even status that drives him. “For some, a billion baht is never enough, but with greed you are never satisfied’, Pinky shrugs. “Though I am not religious, my shop is my temple. My religion is in here’, he says, pressing his fist to his chest. “You could say I am successful, yes, but I am richer in my heart”. 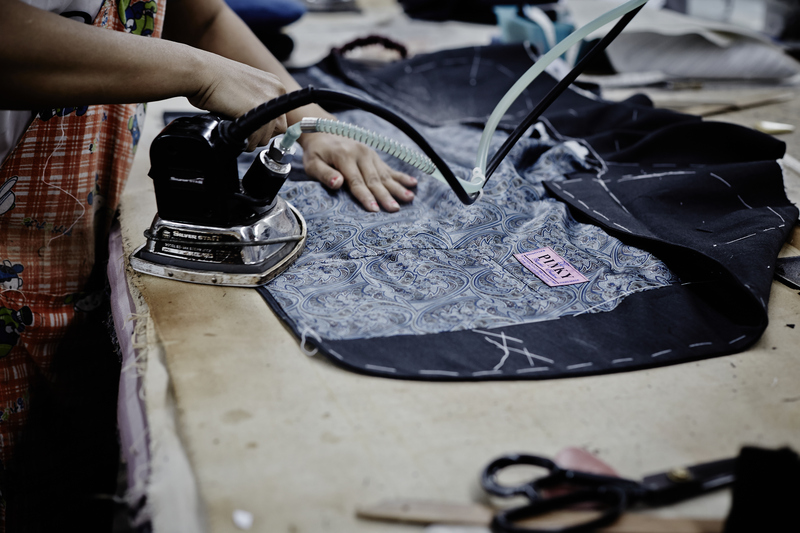 In a brightly lit sewing room, set across from the shop, a small team work away on assorted suit pieces. 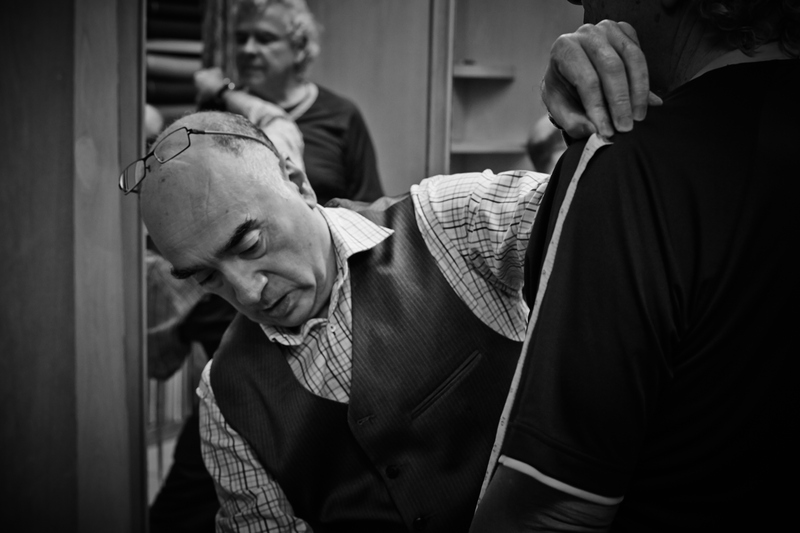 Like most commercial sewing rooms, each works on one single element – like a pocket or sleeve or a buttonhole – concentrating wholly on this detail alone for every garment. 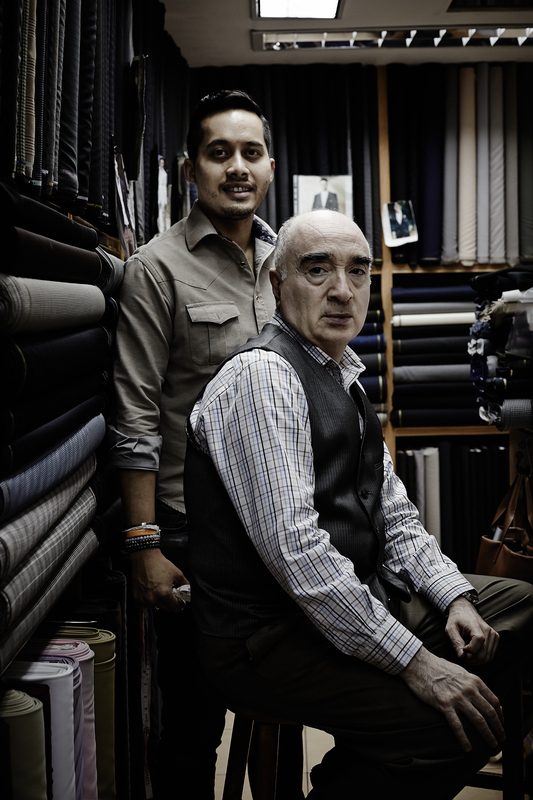 “My staff are like family’, Pinky says fondly as he picks up a suit piece and checks the stitching. “I have employees who have worked for me for almost 20 years and with some there is more than one family member employed. My main assistant, he started off as a motorcycle driver, but now he is my right hand person. His wife and nephew work with us too, so he is happy’. Also key to Pinky’s business is his son Pawin, 31, who represents the new generation in Thai tailoring. 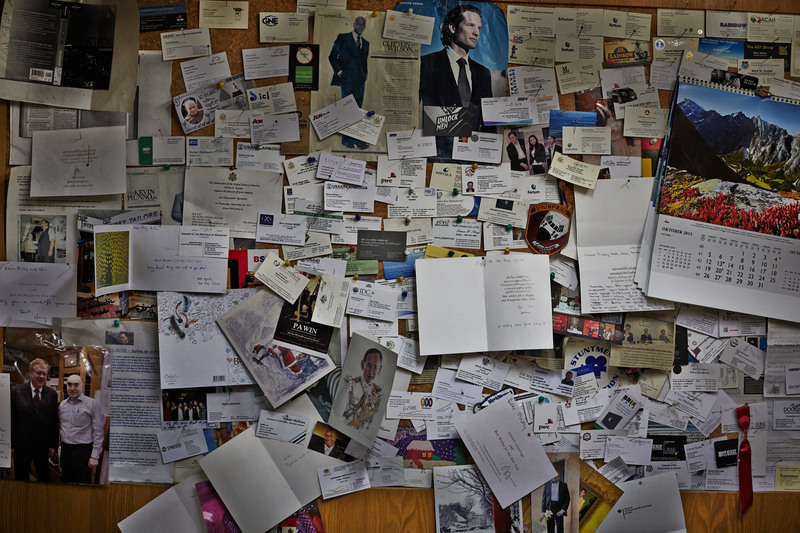 While Pinky is old school, shirking computers and still keeping orders and invoicing on paper and in ledgers, Pawin represents what’s current and modern – from arranging photography shoots with top magazine editors, to attending events and managing a constant stream of updates to the shop’s Facebook and Instagram pages. “I don’t know anything about this kind of thing”, Pinky says to me quietly as Pawin proudly shows me a selection of glossy images and tells me about his plans to open a second store focussed on accessories, which they will also export. Each person has their own expansion. 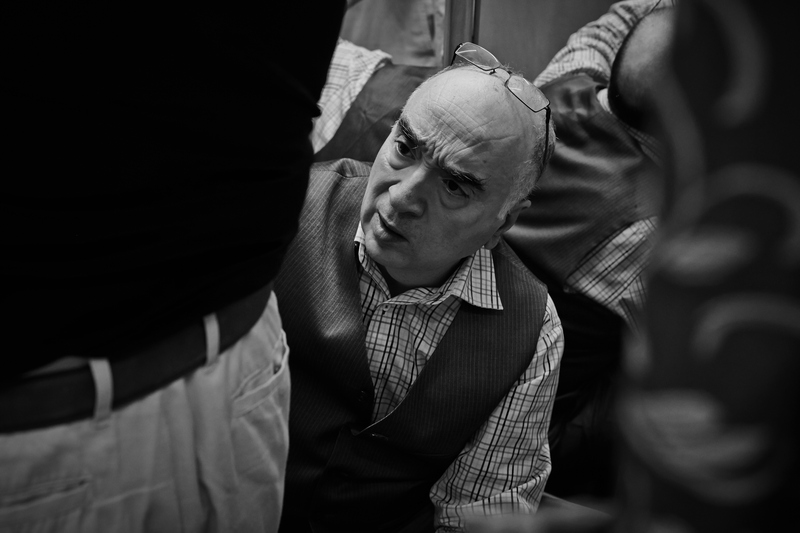 “I’m very private, I’m sorry”, says a bespectacled Englishman as he discreetly ducks inside a small change room. Here due to the recommendation of a friend in London and only in Bangkok for a day, the man is measured up, down and sideways, before a quick look over Pinky’s best suit wools and an order finalised for delivery back to the UK. When I enquire about Nid, the girl who inspired Pinky to go out on his own all those years ago, Pinky’s face softens. Married now for over thirty years, with two children, Pawin and a daughter, it’s a relationship that is still clearly going strong.